Vast Teaching and Entrepreneurial Experience of Promoter Divya J Bawa. 90+ years of Pre School Teaching & Leadership Experience of Leader Ship Team. 5 + Years Experience of Running Pre Schools Successfully and Profitably. School Management Counseling for Owner. Marketing and Admission Process Training. 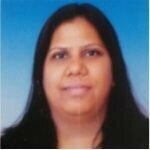 Divya is trained in The Montessori Method of teaching. She brings over 15 years of teaching & leadership experience in the early childhood education space having worked at Institutions like The Shri Ram school. Divya writes poetry for children and has authored a book, the adventures of Chiya the yellow birdy, for the Kinder Plume play school. She has done significant work towards training teachers for continuous development. Her passion for innovation and creativity drives her to strive for perfection. 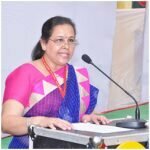 Charanjit brings over 18 years of experience in the education sector, both teaching and at the administrative levels across the length and breadth of the country. She is a graduate in commerce and holds a diploma in Nursery Teacher Training. She has spent most of her teaching years with preschool children. Charanjit is a school leader in one of the schools run by Kinder plume in its present capacity for the last 4 years. Rashi , having a diploma in early childhood care & education and a a masters in English literature brings over 10 years of teaching and administrative experience in schools and preschools. She has taught in reputed schools in Jaipur and Delhi. 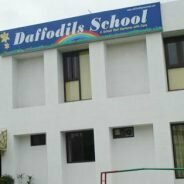 Namita joined Daffodils School as School Leader in October 2016 .She comes with a perfect blend of corporate and pre school experience.She is Convent educated and a management graduate from premiere business school .She has worked with Infosys, where she had won herself rare accolade.She has worked with Shemrock group of pre schools as Centre Head for more than half a decade.She is a proud mother of a 7 year old child . Number of Students – 160. After school activities – Art & Craft, Music, Dance, Robotics. Break even – 2 Years. K 12 Admissions: Sri Ram, DPS, Lotus Valley, Heritage, Kunsopskolan, Scottish High, Shalom Presidency, GD Goenka, Amity. (KP Taken over Control: 2013). Number of Students – 170. K12 Admissions: DPS Ghaziabad, GD Goenka, Ryan, Silverline,St Mary. All Three Done before Launch and a review session done between 3-6 months(Interaction Mode). Customized Support may also be Provided on Request of the Franchisee. Premise area of 1000+ Sq. ft.
Electricity may be a concern but does not involve much work/money to convert to commercial. 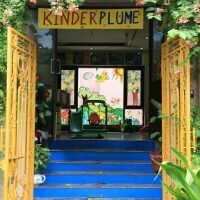 Lowest Franchisee Fee in India (Pre – School Segment). No Royalty Fee (First Orgainsed Player with Own Schools in this Segment). Managed by experienced and professionals. Self Developed and Copyrighted Curriculum. 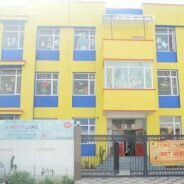 K 12 Admissions: Blue Bells, Amity, Lotus Valley, Don Bosco, DPS – Mathura Road, DPS – East of Kailash, GD Goenka, Step By Step, Modern School, Sanskriti School. All Three Done before Launch and a review session done between 3-6 months (Interaction Mode). Divya is trained in The Montessori Method of teaching. 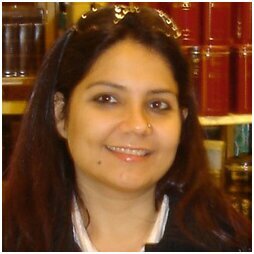 Divya brings over 15 years of learning & teaching experience in the early childhood education space having worked at Institutions like The Shri Ram school. Divya writes poetry for children and has authored a book, She has also worked significantly towards training teachers for continuous development. Her passion for innovation and creativity drives her to strive for perfection. Charanjit brings over 18 years of experience in the education sector, teaching and at the administrative levels across the length and breadth of the country. 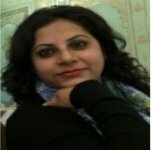 She is a graduate in commerce and holds a diploma in Nursery Teacher Training. She has spent most of her teaching years with preschool children. Charanjit is a school leader in one of the schools run by Kinder plume in its present capacity for the last 4 years.